Dimensions 0.73 by 5.42 by 8.23 in. 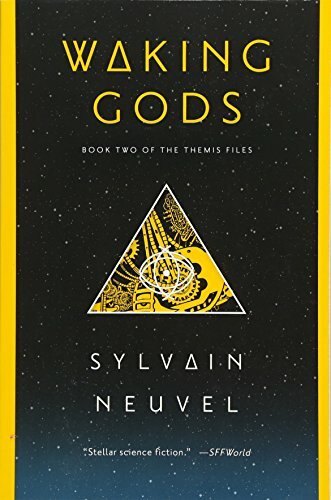 Amazon.com description: Product Description: In the gripping sequel to Sleeping Giants, Sylvain Neuvelâs innovative series about human-alien contact takes another giant step forward. As a child, Rose Franklin made an astonishing discovery: a giant metallic hand, buried deep within the earth. As an adult, sheâs dedicated her brilliant scientific career to solving the mystery that began that fateful day: Why was a titanic robot of unknown origin buried in pieces around the world? Years of investigation have produced intriguing answersâand even more perplexing questions. But the truth is closer than ever before when a second robot, more massive than the first, materializes and lashes out with deadly force.